This images shows the various applications, including the easy to use television mount. 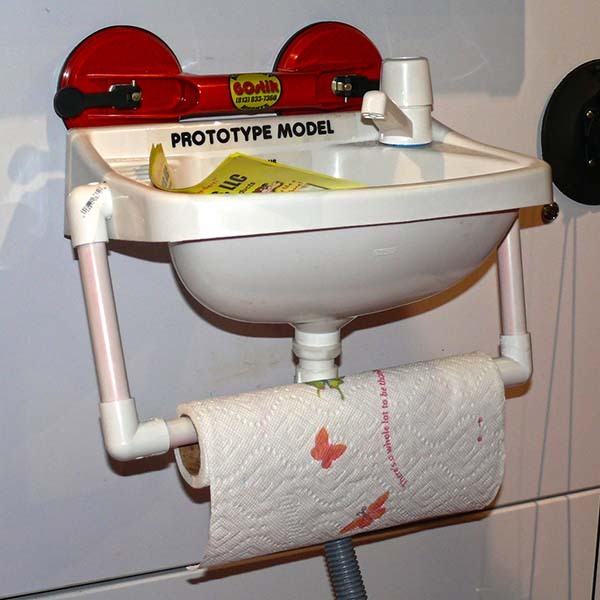 However, we’re always looking for a convenient way to place things we need in places they weren’t designed to be placed. 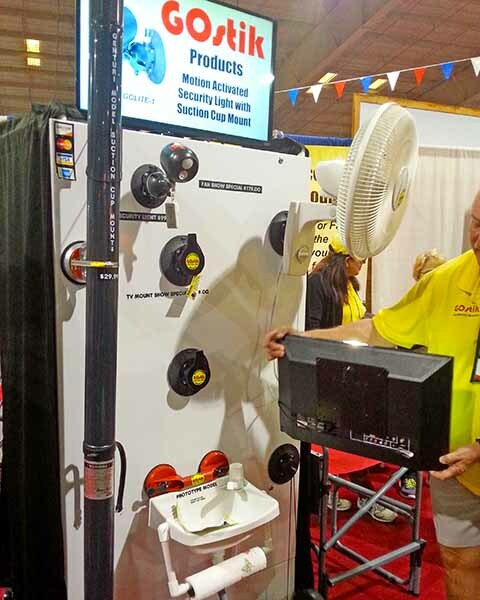 When I saw this product at the 2015 Florida RV SuperShow I was intrigued, and immediately saw its many practical applications. It provides a feasible, affordable and damage free way to temporarily attach items to the exterior and interior of your rig. I’m talking about the GOstik suction cup accessory mounts from GOstik Products, LLC. They offer oscillating fan and remote controlled security/flood light accessories along with their line of suction accessory cup mounts. These mounts that can be used to hold such things as flat screen televisions, flag poles and generator exhaust extension pipe. If you need to temporarily stick anything on a flat surface on the interior or exterior of your rig, they probably have a GOstik that meets your needs. The suction cup accessory mount requires a clean, dry flat surface to affix itself to. A textured surface isn’t suitable. Use them to affix motion activated lights in areas around your rig to assist in night time illumination while cooking or for security for practicality and peace of mind. Having an oscillating fan where you need it that’s not on the ground or floor, but at a height where it does you the most good is also a nifty idea. You can mount it on the outside wall, window or your windshield. On a cold day having that fan move air heated by sunshine radiating through the windshield will help warm the rig, making it more cozy on an otherwise chilly day when you don’t want to waste propane or run some sort of heater. 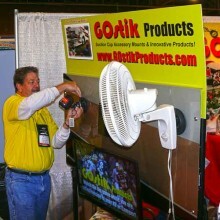 GOstik a sink where you need one! Go put a sink where you need one! Wouldn’t it be handy to have an outdoor sink? Now you can add one where you need it without any modifications to the exterior of your rig. If you have something you want to temporarily position on or in your RV, GOstik Products probably has a solution! Whenever you use any suction device on the exterior of your rig, be sure to clean the area where it will be affixed before attaching it. This will prevent any scratching from dirt and debris as well as ensure you have the firmest grip possible.